So the DVD is almost here! We had hoped to have it ready to release by end November, but the production of the DVD is taking a bit longer than we had planned. The DVD is set to be released in Feb. We are very excited about it, and we are working on it full on till the cajonbox team takes a holiday from 10 Dec till 2 Jan. When we return from our break, we will continue working on the DVD and have it ready in February. The APP has also been in development mode and is taking shape really nicely! Thank you all very very much for your love and support! We really need it, without it these things are impossible! Thanks! I am extremely excited about this and have been carefully planning the DVD over the last year. 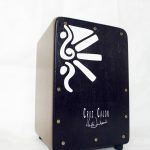 The DVD will be a complete ‘course’ on the Cajon that would cover a very wide variety of styles, and also include an intensive course that is well structured with great exercises to develop an excellent technique and sound, and much much much much more features and extra’s, I will share more about the DVD and everything we will cover throughout the DVD course at a later stage. The DVD will particularly feature a practise along program that you can practise along to everyday and see amazing results in your playing in less than 6 weeks! 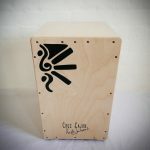 The course has been solely developed by myself over the last 5 years, the whole course is tailored to the way I believe is the best way to learn to play the cajon and it will certainly include all the ex and rhythms that I have been using and practising daily over the last 5 years! It would be an honour to share my personal practising schedule with others who find my way of teaching easy to follow and great to understand. The DVD is ideal for beginners and improving players, and because of the set out ‘Practise along’ it is a perfect DVD for professional players who feel that their technique needs some refining. Other great news is that we will be releasing an APP of the DVD for those who wish to have the whole course on their iphone or iPad! The DVD is set to be released in Jan 2014, exact date to be confirmed. Pre Orders and ‘DVD christmas gift cards available from 1 DEC 2013. 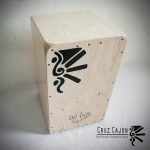 Sign up to my cajonbox newsletter to get your discount code for the DVD.